If you are in the market for a standby generator then West Cost Generators Naples Fl can provide a turnkey solution. 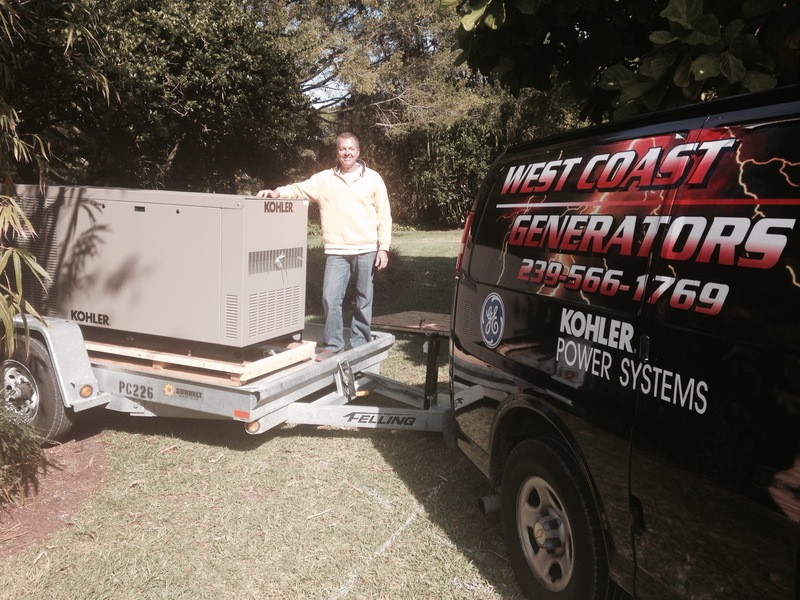 West Coast Generators Naples Fl was formed in 2007 because of a large demand for standby power. We provide engineering, equipment, manpower, gas and electrical services. Some of the brands we carry are Kohler, Generac, Briggs & Stratton and GE. We service, warranty and repair everything we sell. We also service and repair other brands as well. There is not a job that is too small or too big that we cannot handle. We have many references available at your request. Call us for a free estimate for your home or business at 239-566-1769. We can correctly size your generator to your needs. If you do not have a fuel source then we can set up a gas source for you. We are licensed and insured for LP Gas and electrical. We cover all of LEE and COLLIER COUNTIES and some special circumstances.